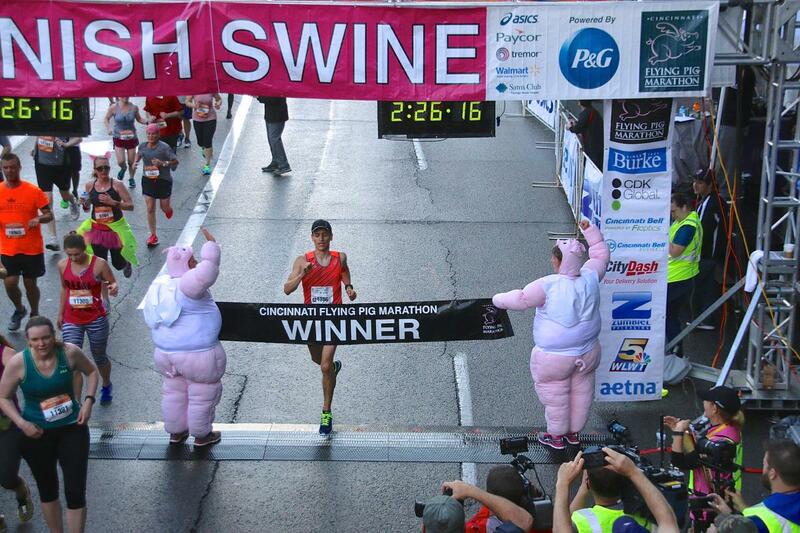 This beloved race found it's name from Cincinnati's pork history which dates back to the early 1800's. Cincinnati is also known as "Porkopolis. "Our weekend lineup of events are designed to welcome athletes of all abilities from the Diaper Dash to the full Marathon and everything in-between, we truly have something for everyone. We even added a dog race several years back. 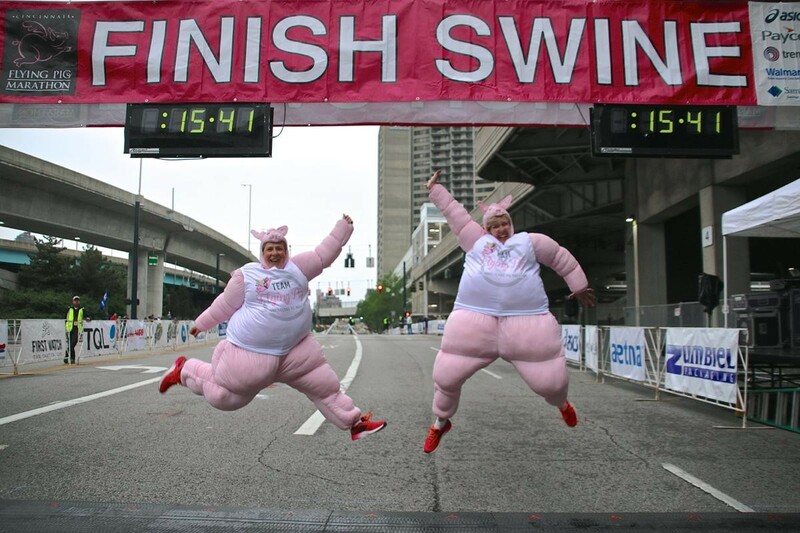 Our kid's incremental marathon program has nearly 5,000 students who participate from area schools and our PigAbilities event offers an option for people of all ages with disabilities who may not wish to participate in a competitive event, but still want to be part of Flying Pig Weekend. 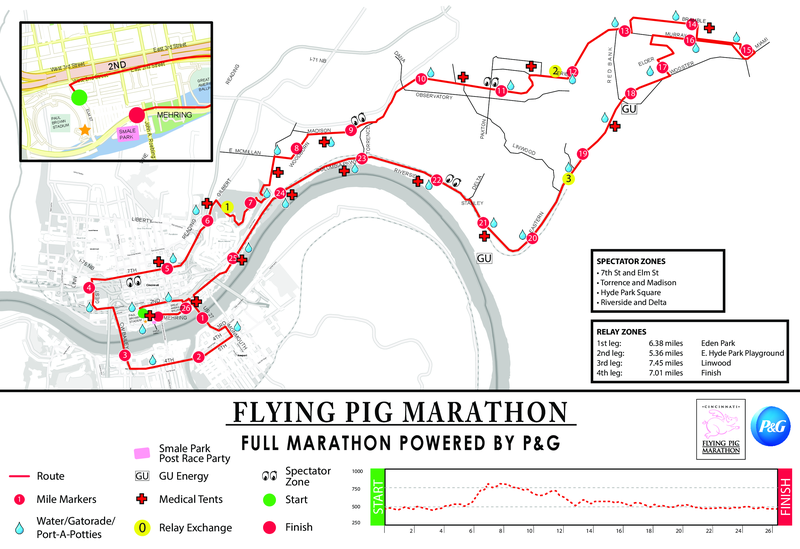 The Cincinnati Flying Pig Marathon promises to be a beautiful course which "flies" along the streets of Cincinnati, Covington, and Newport. This race presents a well-balanced, diverse tour of some the best neighborhoods in the area. Total participation in the weekend’s events was 37,244, and participants came from all 50 states and 20 countries. More than 18,400 people competed in the full marathon, half marathon and four-person relay on Sunday alone. Anderson High School cross country coach Kerry Lee won the women’s division of the marathon on her seventh attempt with a time of 2:53:55. She came in second in last year’s race along with 2015, 2013 and 2011 and was third in 2012 and 2014. Jack Randall, 22, who recently graduated from the University of Cincinnati, won the men’s marathon with a time of 2:33:46. 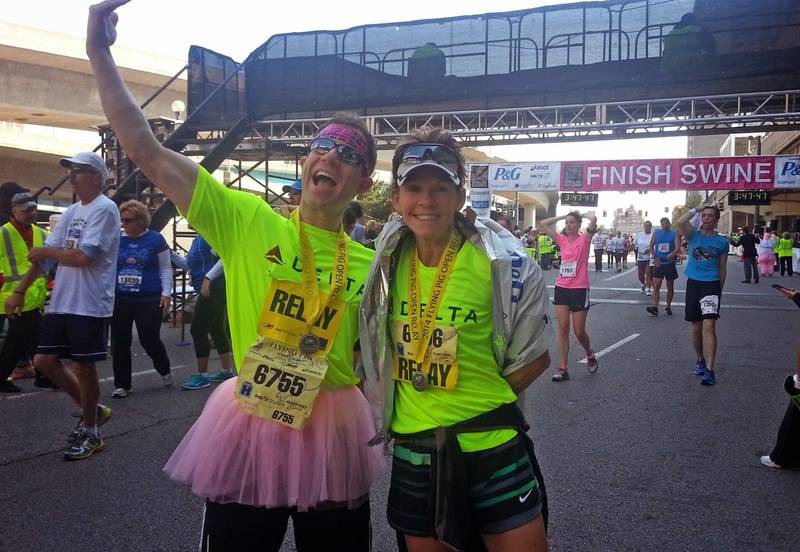 It was his fifth marathon but first time running the Flying Pig. Flying Pig events kicked off on Friday night with the Little Kings Mile, the second leg of the Christian Moerlein Beer Series. Saturday events included the Toyota 10K and the Tri-State Running Co. 5K along with kids runs. 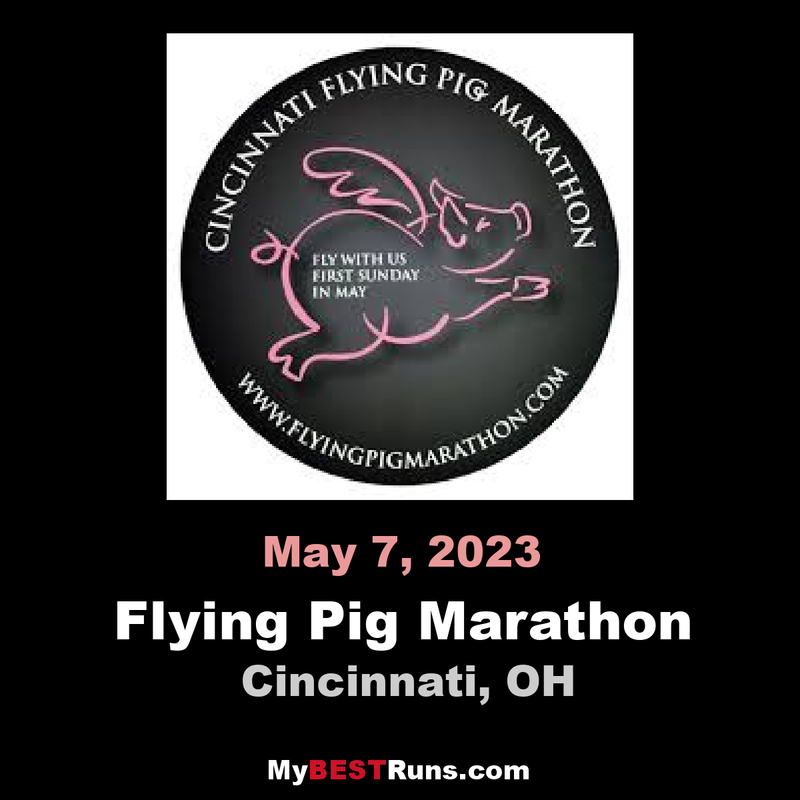 The Cincinnati Flying Pig Marathon is a beautiful course, which “flies” along the streets of Cincinnati, Covington, Newport, Mariemont, Fairfax and Columbia Township. Our course presents a well-balanced, diverse tour of some the best neighborhoods in the area.